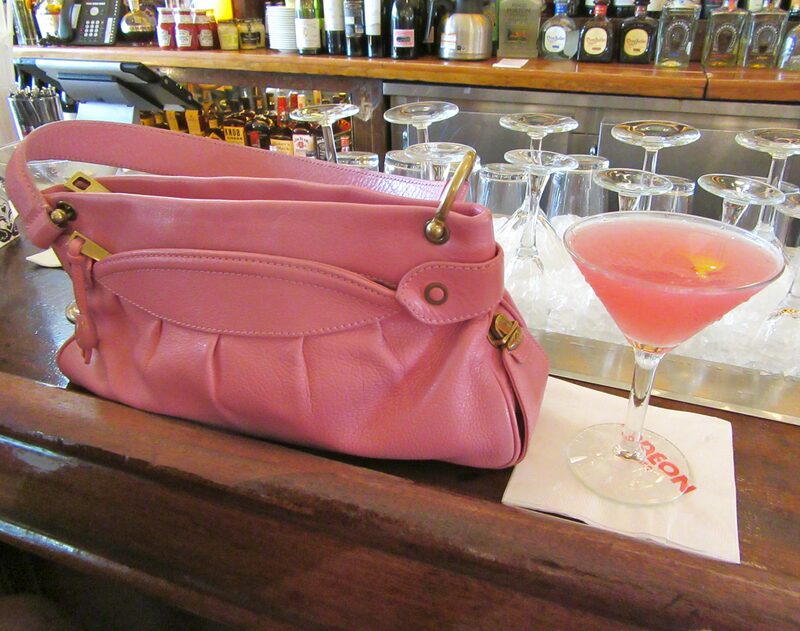 One evening last summer, I was at The Odeon on West Broadway for my friend Robin‘s Birthday dinner, when I spotted this lovely Pink Handgbag and matching Cosmo, sitting on the bar. And now, it is immortalized on this blog! Pink Thing of The Day: Pink Grapefruit Sparkling ICE Cocktails! In a week that includes not only the events of New York Fashion Week but also Valentines Day and My Birthday, it goes without saying that we will be doing a lot of drinking. 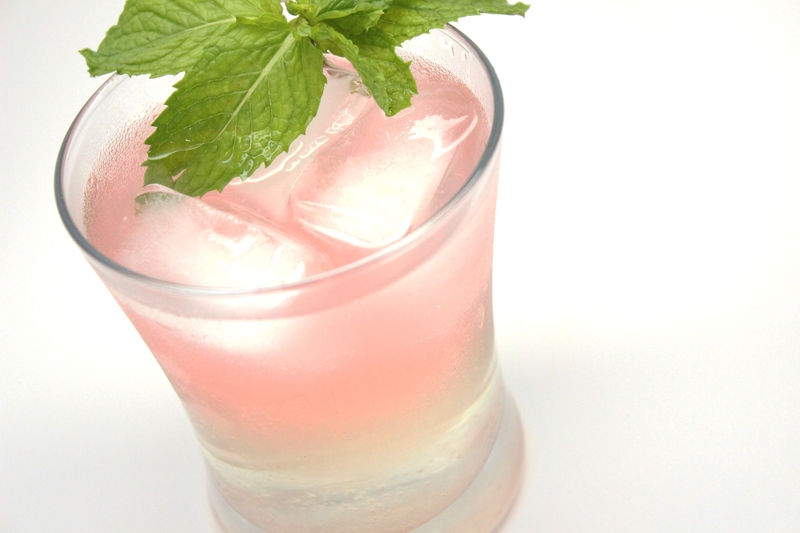 Since February is also National Grapefruit Month, we are going to feature some Pink Grapefruit flavored cocktail recipes today made with Sparking ICE, one of our favorite zero calorie mixers. Enjoy! 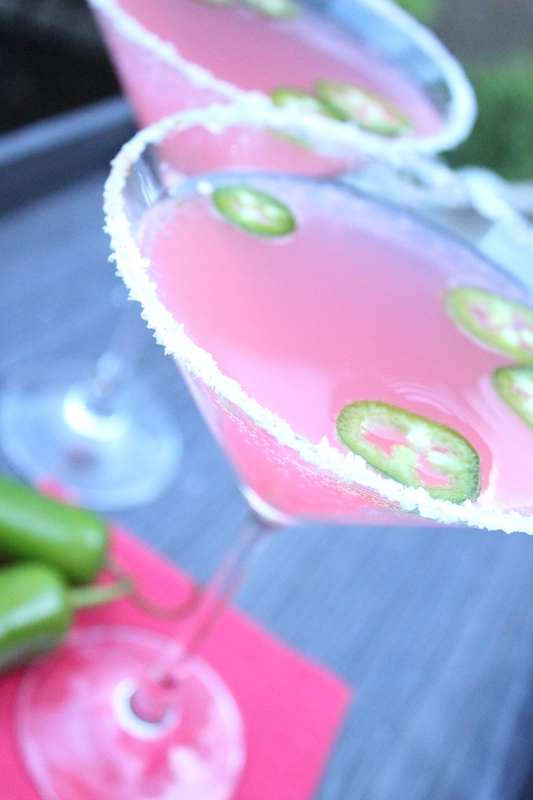 Use a lime wedge to rub the entire rim of a chilled martini glass, and dip into chili salt mixture. Combine vodka and jalapeno slices with ice in a shaker. Strain and pour into the chilled martini glass. Top with Pink Grapefruit Sparkling ICE. Garnish with a few Jalapeno slices. Find out more about Sparkling ICE Beverages at This Link! 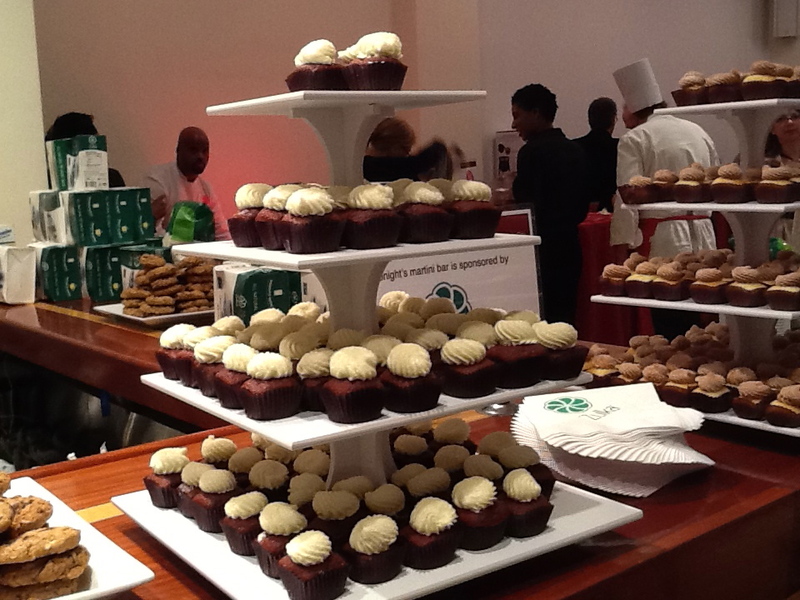 Fall Food Fete Entices with a Preview of Seasonal Delciousness! 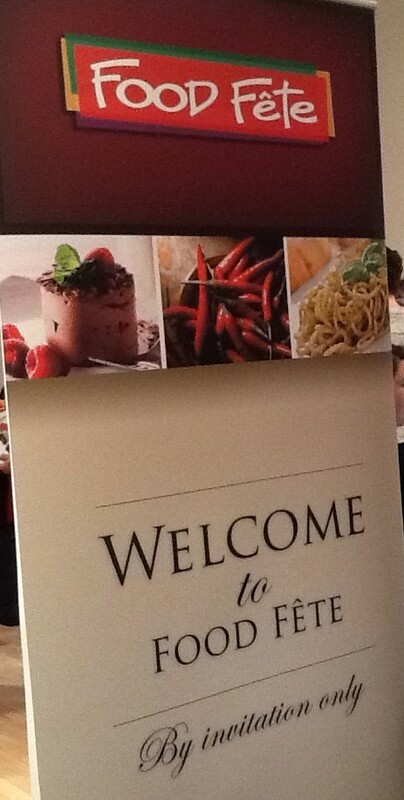 Nothing gets us excited for new seasonal packaged foods and gourmet takes on fresh favorites quite like Food Fete! The Fall edition of Food Fete took place on November 7th, with lots of ideas for holiday entertaining and many new products on preview from some of our favorite vendors — plus a great chance to network with other bloggers and sample lots of tasty treats! Here are a few of the exhibitors that caught our eye this time around. 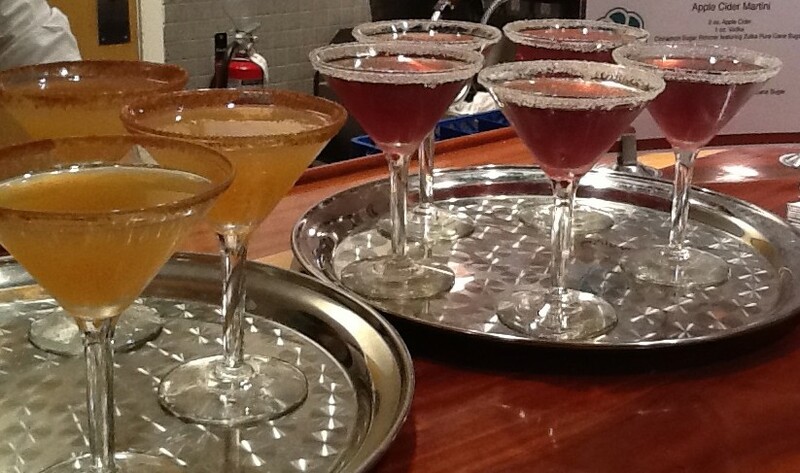 A festive Martini Bar sponsored by Zulka Pure Cane Sugar got the party started right away. We made sure to sample both the Apple Cider and Pomegranate Martinis, whose sugared rims sparkled with a sprinkling of Zulka. We had to note that Zulka glittered like diamond dust as it adorned the frosting atop luscious brownies, alongside tiny cakes and fresh baked cookies, also provided by Zulka. Since Zulka‘s “Morena” pure cane sugar does not undergo a conventional refining process, it retains the complexity and depth of flavor that’s as close to fresh sugar cane as possible. Why not pick up a box for use in your next recipe that calls for sugar? 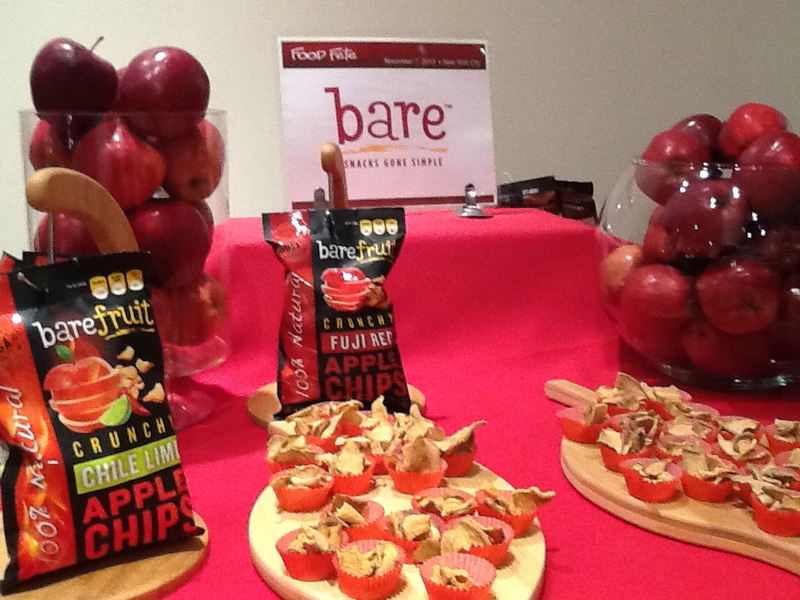 Shortly after entering the event space we spotted Bare Fruit Apple Chips. This delicious natural fruit snack is made from 100% baked Washington Apples with no added preservatives or sugars (and, of course, it’s Gluten Free). We took home a couple of bags to sample and have really enjoyed the Sea Salt Caramel variety, which is a new flavor along with the Chile Lime offering. Crunchy, Sweet and Healthy Snacking! Mmm, fresh baked bread, – we love it! A lot of people, unfortunately, have a gluten intolerance and many exhibitors at Food Fete took this challenge in hand. The holidays are a time when baking for the family, as well as for gift giving, is a very popular idea. From Anna offers Gluten and Allergen Free bread mixes that taste as sweet and moist as your favorite recipes from Mom. 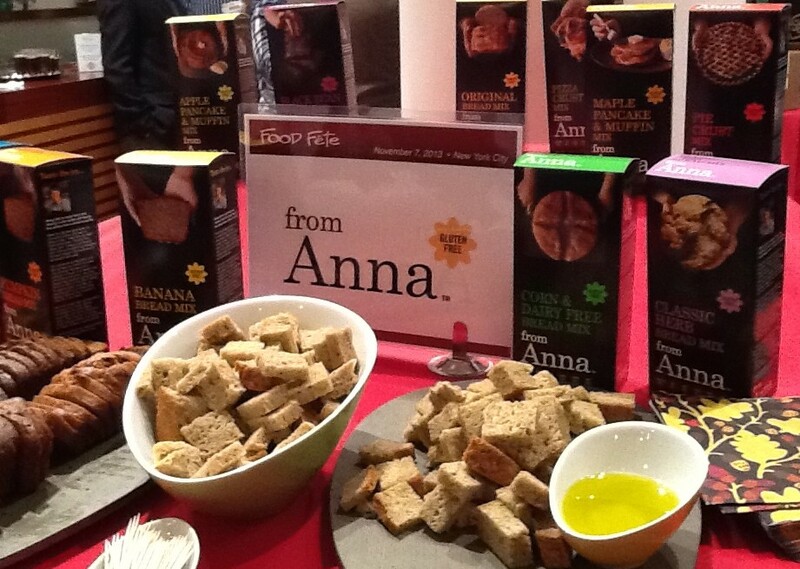 From Anna‘s line of products let you treat yourself and your family while including those with dietary exclusions. Their Banana Bread mix is a must-try and so easy to make! Luces Gluten Free Artisan Bread was also exhibiting and had many flavors of their fresh baked breads to share, including their new Italian loaf, which bakes into a rich white bread with cracker-thin crust and a very open crumb. Is your mouth watering yet? 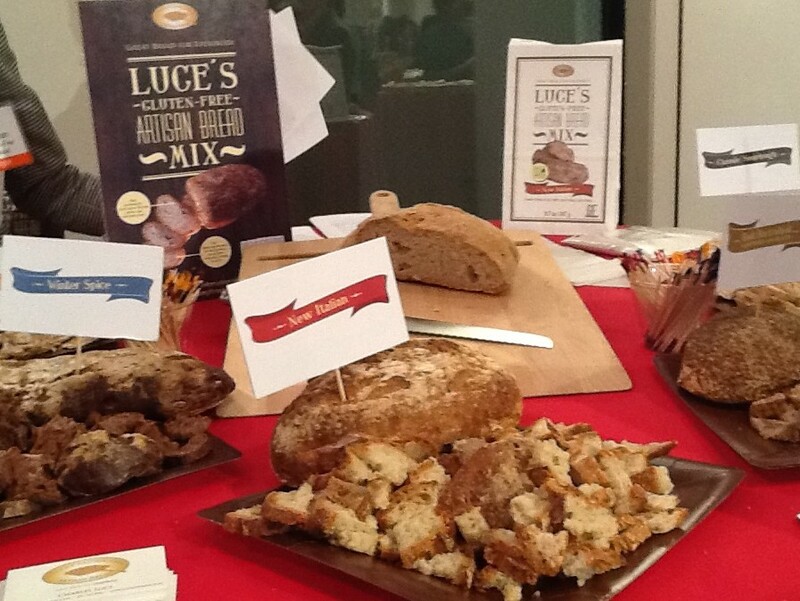 Luces bread mixes contain all the dry ingredients you need to make a loaf of fresh baked bread in every package, including a bag to bake it in! The best part: no kneading or rising time is required. You have to try this bread! Chocolate is a big item at the holidays and Divine Chocolate offers exotic flavored Chocolate bars such as White Chocolate with Strawberries, Milk Chocolate with Crushed Ginger Snaps (tastes like Christmas!) and Dark Chocolate with Ginger and Orange among many others! 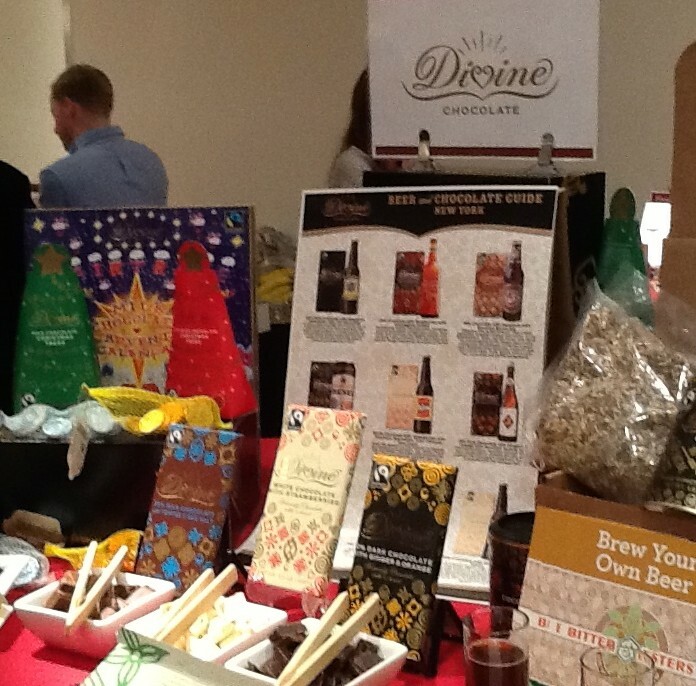 Not only are their products unique and tasty but Divine is the only fair-trade chocolate company which is owned by its cocoa farmers. While Fair-trade ensures farmers receive a better deal for their cocoa and additional income to invest in their community, company ownership gives farmers a share of Divine’s profits and a stronger voice in the cocoa industry. That’s awesome! 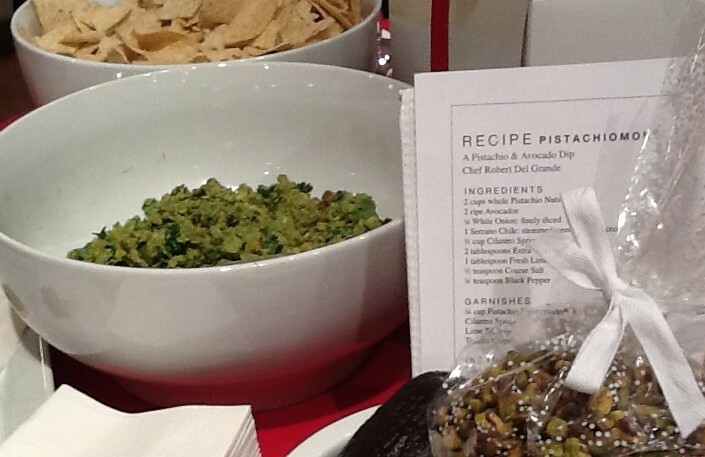 Nuts and nut products were also featured prominently at the show, including one of our very favorite snacks, Pistachios. 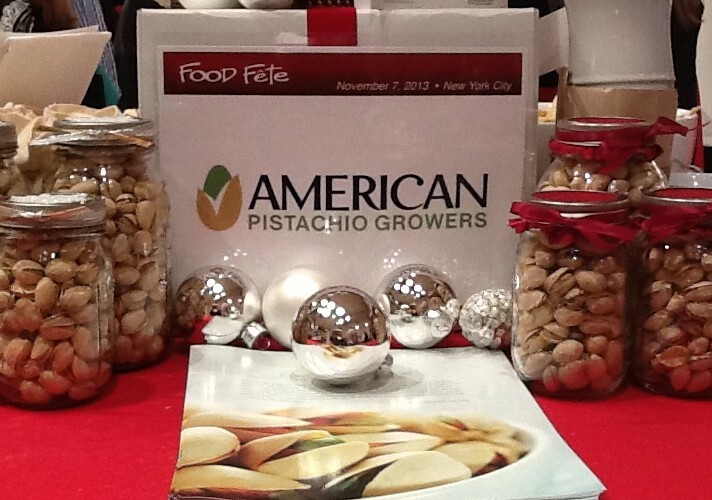 American Pistachio Growers hosted a very inviting booth with facts about Pistachios, samples to give away and the most delicious Avocado Pistachio Guacamole dip (which they called Pistachio Mole). We got the recipe for future concocting at home! Oh Man, This Stuff was Good! 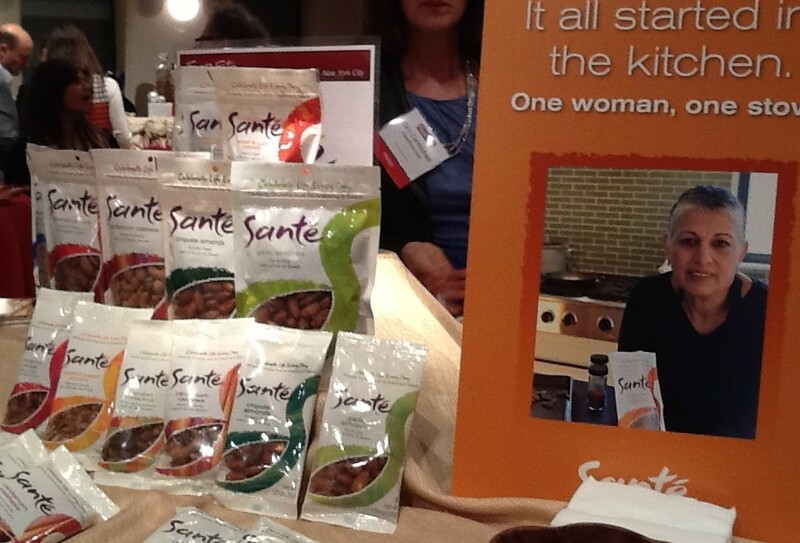 We also fell in love with Sante Nuts, a company founded by a single mom who had to think creatively when she she needed an income stream to support her family. Sante Nuts come in nine sweet and savory varieties and are made in small batches to ensure freshness. Sante’s candied Pistachios, which are actually only slightly candied, so you can still taste all the flavor of the nut, are out of this world. 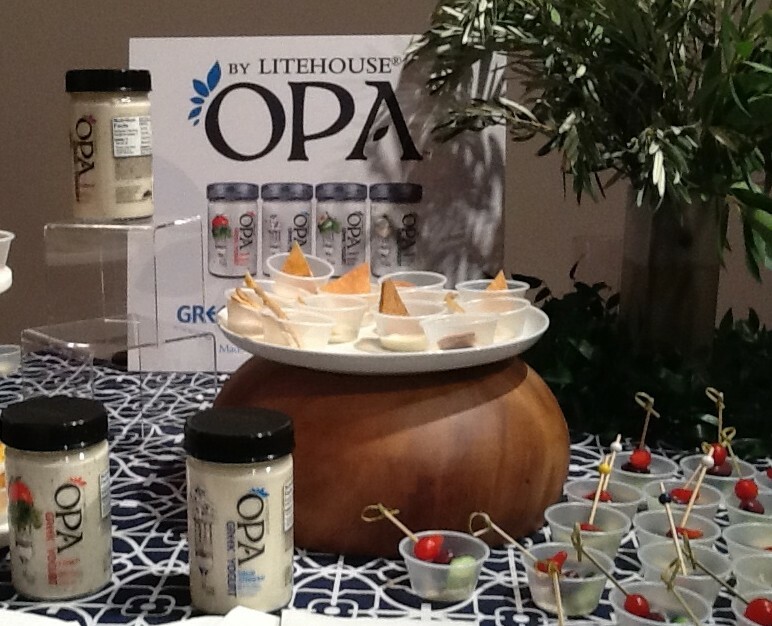 OPA is a brand of delicious, made fresh Greek style yogurt dressings from Litehouse Foods that not only makes salad eating fun, but it also makes excellent dips. Gluten free and lower in fat and calories than the standard bottled dressing, OPA sacrifices nothing in the taste arena to bring you a healthier product. Available in Blue Cheese, Ranch, Caesar and Feta Dill flavors, OPA by Litehouse can be found in the refrigerated produce department at grocery retailers nationwide. 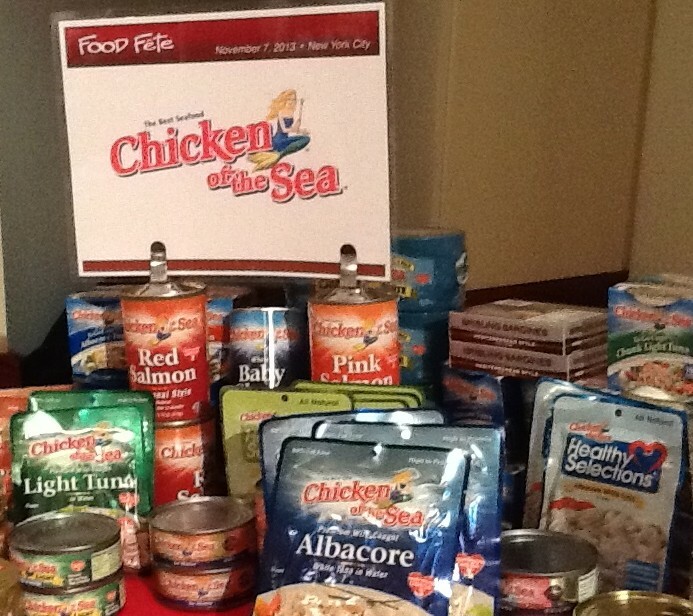 We love their Tuna, but we had no idea that Chicken of the Sea made all of these different types of packaged seafood products. Due to celebrate the company’s Centennial in 2014, Chicken of the Sea showcased two brand new items at Food Fete, including its Kipper Snacks — naturally smoked, wild-caught herring fillets that are a traditional European snack — and their Genova Quad Pack, featuring four cans of all-natural Genova Select Yellowfin Tuna packed in the Mediterranean tradition of olive oil. We were also surprised to learn that Panera Bread, one of the healthier quick food chains around, is now offering healthy and delicious salads (although we were told that these salads have actually been available as an off-menu item for some time – who knew?). 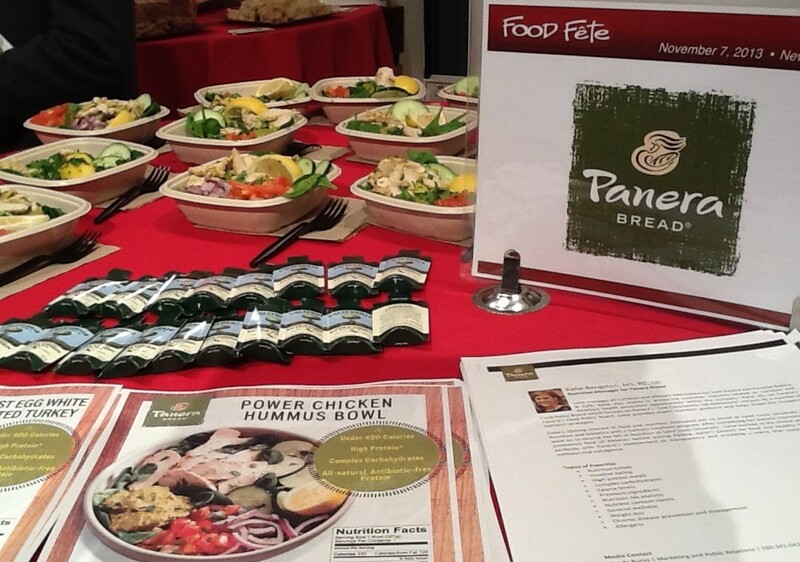 We will have to check that out next time we pass by a Panera Bread at Lunchtime, because these salads were tasty! 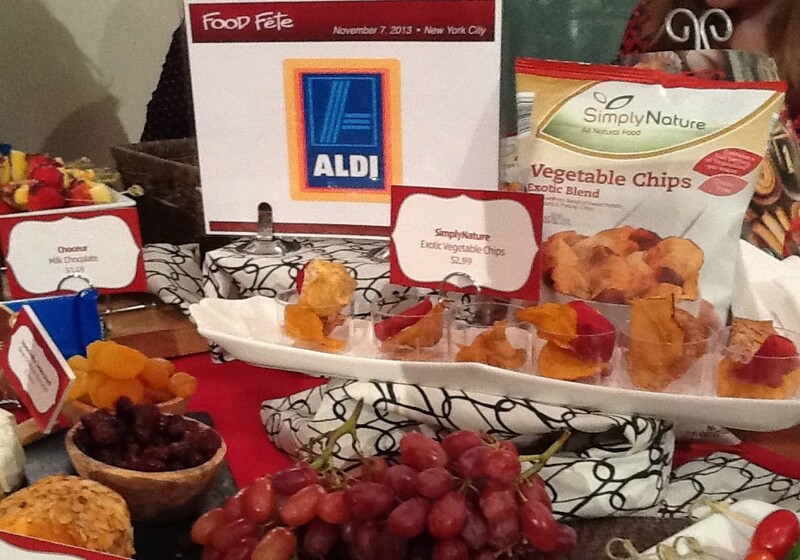 If you have an Aldi Market in your neighborhood then consider yourself very lucky, because their foods are awesome! Similar to a Trader Joe’s, Aldi features all its own house brands and offers everything you need to make your holiday party – or everyday life – simply spectacular! Not to mention, but you can see we are about to, the fact that they have very reasonable prices! Visit Aldi Dot US to find out more about Aldi and to see if they have a location near you! 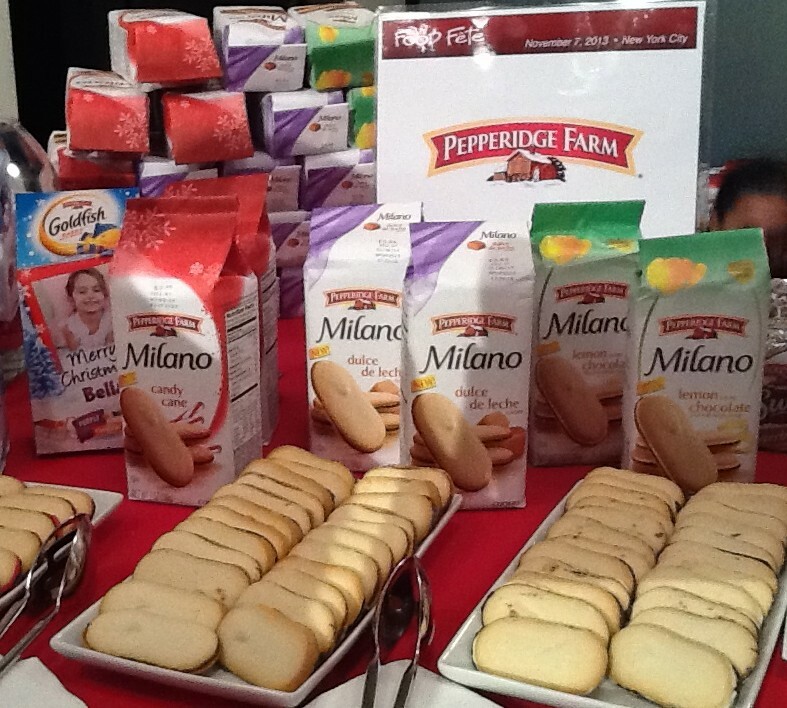 Pepperidge Farm introduce three new seasonal flavors of their popular Milano Cookies: Candy Cane (Available since October), Dulce De Leche and Lemon Chocolate (both in stores starting in February 2014). They are also offering a Gingerbread variety of their Swirl Bread now through January 2014. That probably tastes amazing toasted! Do you see how the little paper spoons all have smiley faces on them? 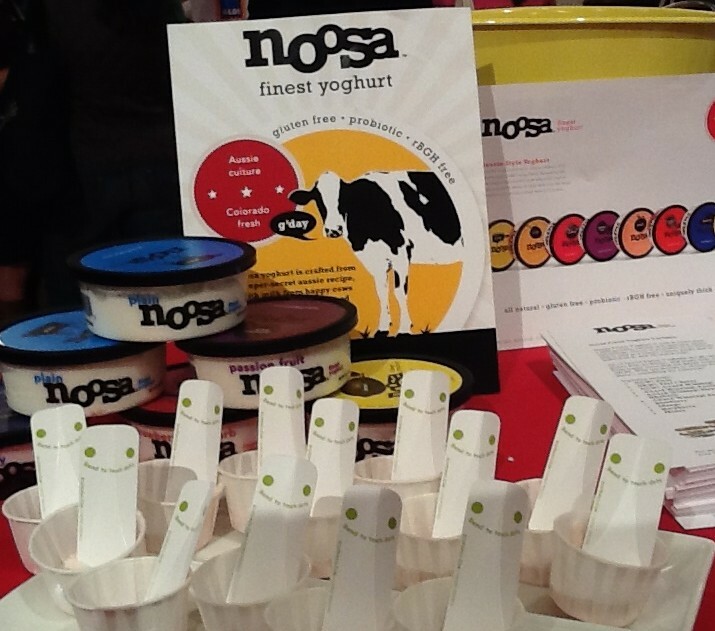 That is because they are serving Noosa Yoghurt, which is so delicious, it is just insane. We sampled both the Cherry and Lemon flavors at Food Fete and gosh darn if this isn’t the Best Yogurt we have tasted, possibly ever. Everyone at Food Fete couldn’t shut up about it. We are going to attempt to get samples of Noosa Yoghurt delivered directly to Worley Gig headquarters so that we can review it more thoroughly. Because, insane. 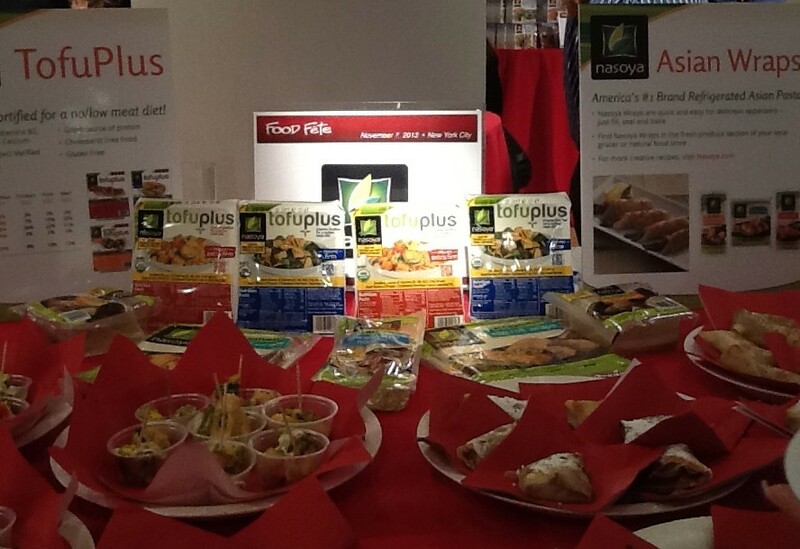 And to wrap up this wrap up, we want to give a shout out to Nasoya, who showcased their Tofu Plus and Asian Style Wraps (wraps, get it?) by serving healthy and super yummy Tofu Tacos and scrumptious home baked Cinnamon Apple Turnovers, respectively, in their booth. Find out more about Nasoya products and get recipe ideas at This Link! Thanks as always to Jeff Davis for making the magic happen! Pour all ingredients into a shaker filled with Ice and shake vigorously. Strain into a Martini Glass and add a dash of Nutmeg. Sip and Enjoy! Ask a random sampling of Manhattanites if they can tell you the location of Bond Street and most will likely either scratch their heads or offer that it must be somewhere in the Financial District. Because Bond Street is an enchanting enigma of NYC real estate, a kind of Urban Shangri-La, if you will. Stretching for just two short blocks above Houston, nestled between Broadway and Bowery — and still paved with cobblestones from the days when New York City was in its youth – Bond Street offers a mix of unique public art, both definitively modern and gorgeous historic architecture, and best-kept-secret foodie destinations. It’s appropriate then that 45 Bond Street is the address of Circolo45, an intimate Italian Trattoria featuring fresh takes on traditional favorites and exceptional, old world service. Recently renovated just nine months after its initial opening, accents such as pastel-painted walls in the bar area and white-painted brick in the rear dining space, minimalist, line drawn portraits hung throughout the restaurant, and the variable candlelit “mood lighting” all fit right in with Executive Chef and General Manager Daniele Sicuranza’s vision of Circolo45 as an Italian Retreat with a “simple, yet vibrant” atmosphere. The varied menu’s emphasis on locally sourced ingredients and an extensive offering of homemade pastas echo the themes of simplicity and comfort in a setting that elevates the dining experience. 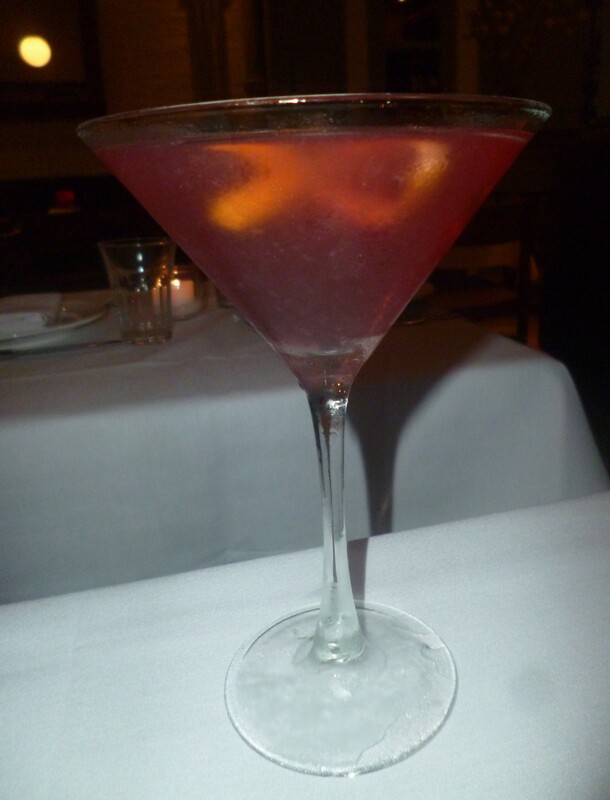 We started off our evening with one of Circolo’s specialty cocktails, the Tizi; a rose-colored elixir similar to a Cosmopolitan but with Elderflower syrup added. Delicious! I like my cocktails fruity and potent, and this delivered on both counts. Our cocktails put us in a nice, relaxed mood to peruse the impressive menu, which seems to offer a taste of the various regions of Italy to please every palate. The Appetizer section alone was overflowing with dishes I felt excited to try just from reading their descriptions. Agreeing to go with the classics, we chose to split the Meatballs Florentine Style and the Eggplant Parmigiana (both priced at $12.00). 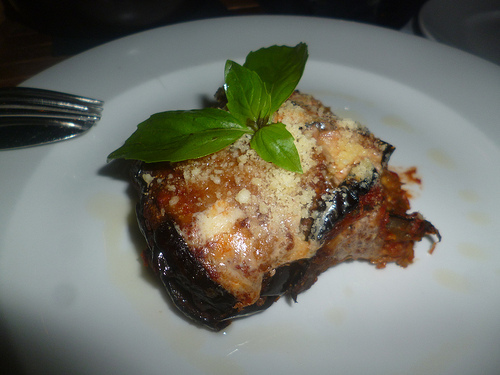 The Eggplant Parm, a perfect size for sharing which arrives with a golden cheesy top, is extremely rich and creamy, more so than I’ve tasted with this dish when ordered at other restaurants. I’m told that the mousse-like texture is owed to additional baking time. If you want the taste of eggplant to really stand out rather than be hidden by the flavors of other ingredients, this is the dish for you. 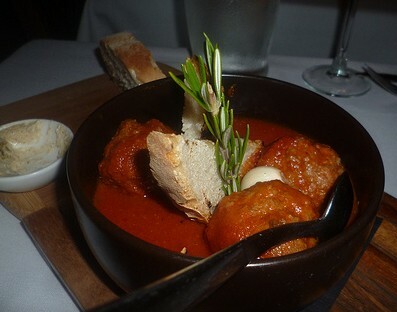 The Meatballs, served in a ramekin with tomato sauce, sliced bread for dipping, and fresh rosemary, have very little binder added, so they are meaty and satisfying. These are also a good sharing size, especially if you want to sample several items from the menu without getting too full before your main course arrives! Two starter dishes I’d definitely like to try on a future visit are the Arancini (Fried Rice Balls with Ragu, $10) — which are always a comfort-food favorite – and the Vitello Tonnato ($13), featuring cold, sliced Veal served in a Tuna Sauce. I had this dish once before, at Da Silvano on Sixth Avenue back in the nineties, and I’ll never forget it. It would be interesting to discover if Circolo45’s offering could compare with my fond memories. From Circolo’s extensive selection of fresh, house made pastas we chose a signature dish of the house, the Spaghetti Alla Chitarra Con Tartufo Nero Estivo: Fresh Egg Spaghetti with Black Summer Truffle ($20). The thick, al-dente cooked noodles are similar in size to Japanese Udon noodles for a hearty bite. 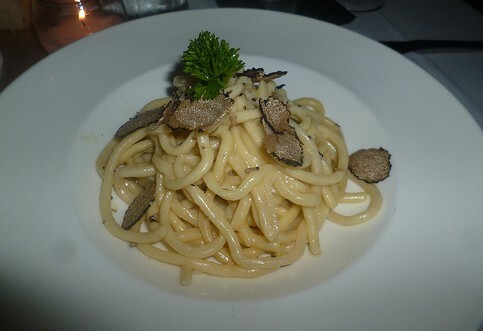 This dish is perfectly seasoned and fragrant with truffle oil as well as a generous addition of sliced Black Truffle. We reflexively asked our server for grated cheese but were advised to just try the dish sans cheese and let the truffle richness prove itself to be flavor perfection on its own. She was right; no cheese was needed. Other delectable pasta choices include one of my favorites, Traditional Lasagna Alla Bolognese ($13), and the Paccheri Alla Genovese; Pasta served in a Veal Shoulder Ragu, cooked slowly in the oven ($15). 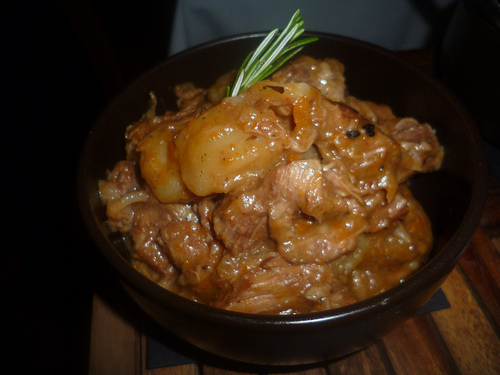 I can imagine that the Veal Shoulder Ragu is exceptional, based on the next dish we tried. Another specialty is the Spezzatino Alla Toscana, Beef Shoulder oven-baked at low temperature served with tender, golden Potatoes, Tomato and Basil ($24). This wonderful dish is comparable to a pot roast or rustic beef stew. The meat is fork-tender and the large chunks of potatoes are cooked perfectly. If you are not sharing this, you will have enough to take home for a second meal (as I did, and it was even more delicious the second time)! Steak and fish lovers will also find lots of tempting selections on Circolo45’s menu– from an oven-baked, Salt Crusted Branzino for Two ($54) to a reasonably-priced selection of steaks which we understand are prime cuts! A generous side of Roasted Brussels Sprouts (all sides are just $5) could easily serve three people. 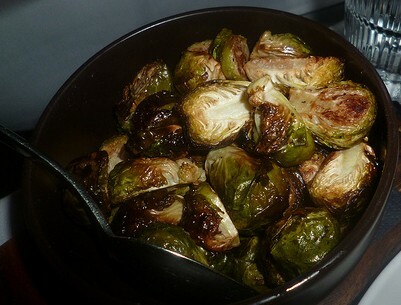 The tender sprouts are roasted using very little olive oil, in case you are counting calories! Circolo45’s dessert selections change daily and we let our excellent server surprise us. Giving us enough time for our food to settle a bit, she returned from the kitchen with a gorgeous and feather light Chocolate Souffle ($9.00). 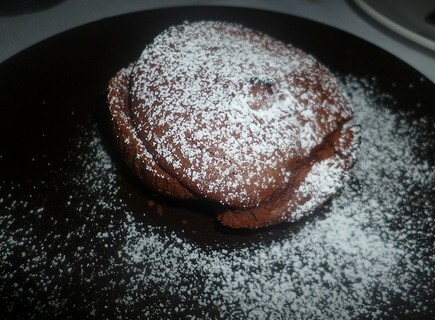 Light and crispy on top and just oozing with a rich Valhrona Chocolate center, this souffle is a few cuts above the ubiquitous warm /molten chocolate cake you see on every menu in town. A perfect ending to a rich and satisfying dining experience. We look forward to a return visit! 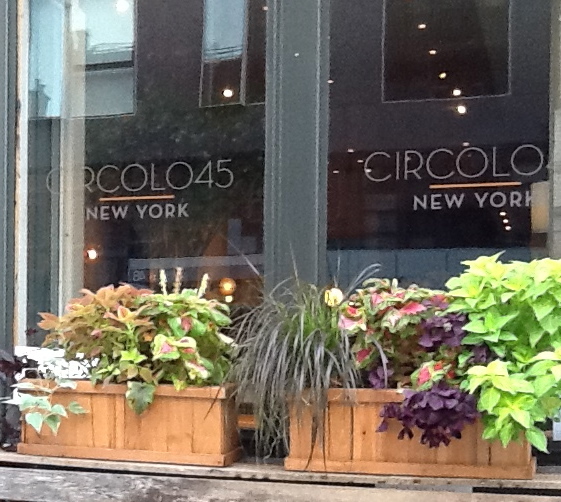 Circolo45 is located at 45 Bond Street Between Lafayette and Bowery. Hours are Monday to Sunday, 5:30 – 10:30 PM. 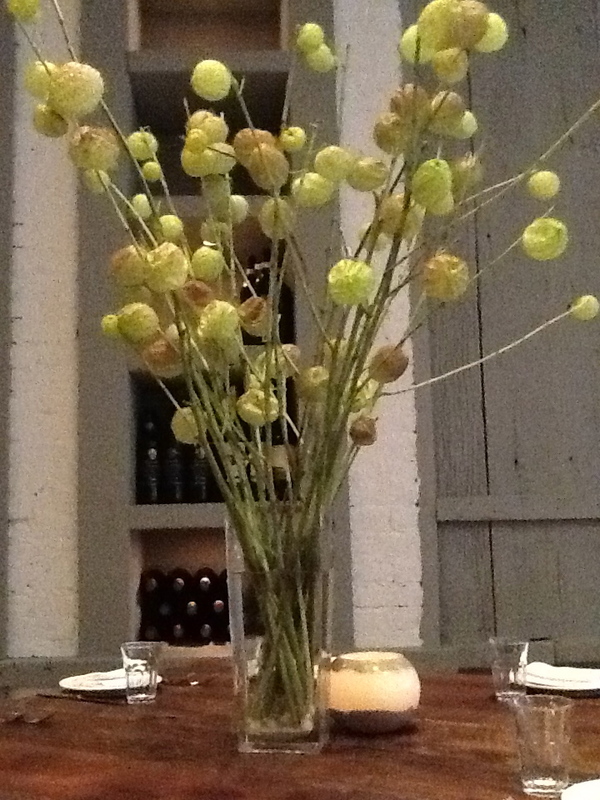 Please Call 212-375-0323 for Reservations. Visit their Website at Circolo 45 Dot Com. 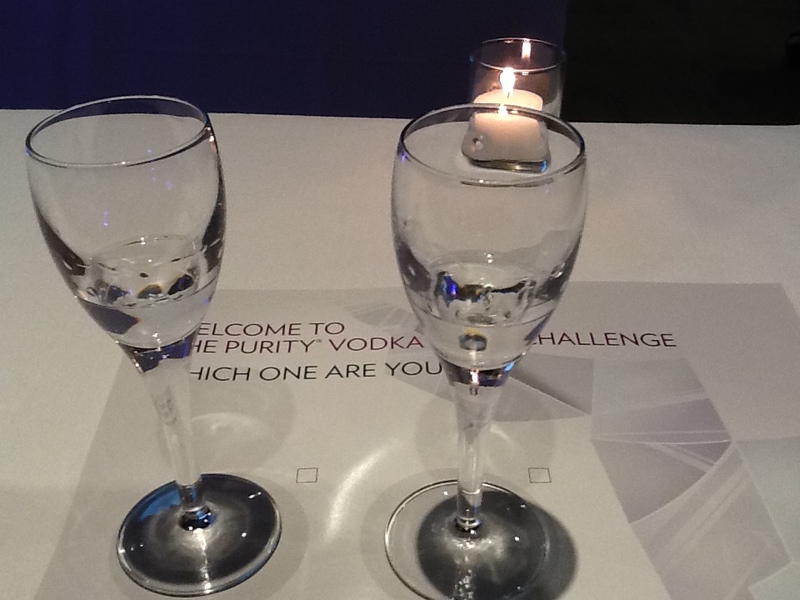 Gail Takes the Purity Vodka Taste Challenge! Do you like Vodka? 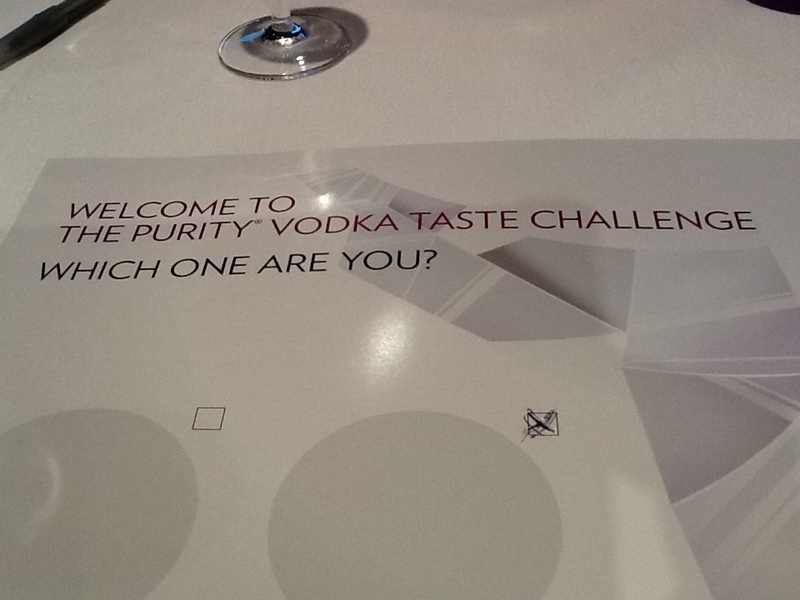 I sure do, but I admit I had not heard of Purity Vodka (From Sweden) until I was invited to take the Purity Vodka Taste Challenge – at a party held for that express purpose at Manhattan’s downtown Dream Hotel, nice! — just last evening. Here is how that went down. First, participants in The Challenge were presented with two unmarked flutes with a bit of vodka in each. We were instructed on the proper way to taste – sniff, tilt glass to check for “legs,” swirl, sniff again, then sip. Taste one glass, then repeat the process with the second. Ceremony! We were then given a pen and asked to tick a tiny box next to the glass holding the vodka whose taste we preferred. I did as instructed, liking one vodka much more than the other, and then a nice spokes-model lady came over with an infrared light device and was able to deduce that I had chosen Purity Vodka over the competitor, Grey Goose! 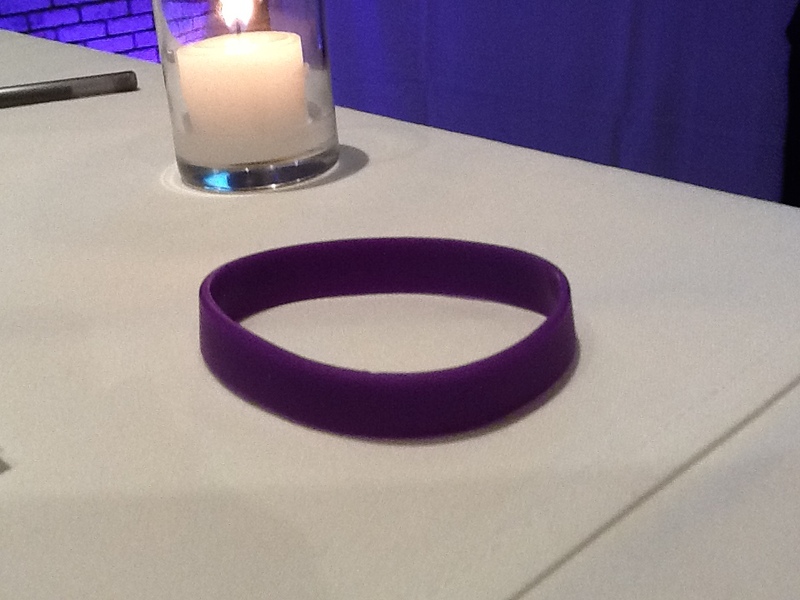 I was rewarded with a stylish Purple Rubber Bangle bracelet in exchange for the performance of my fine palate. 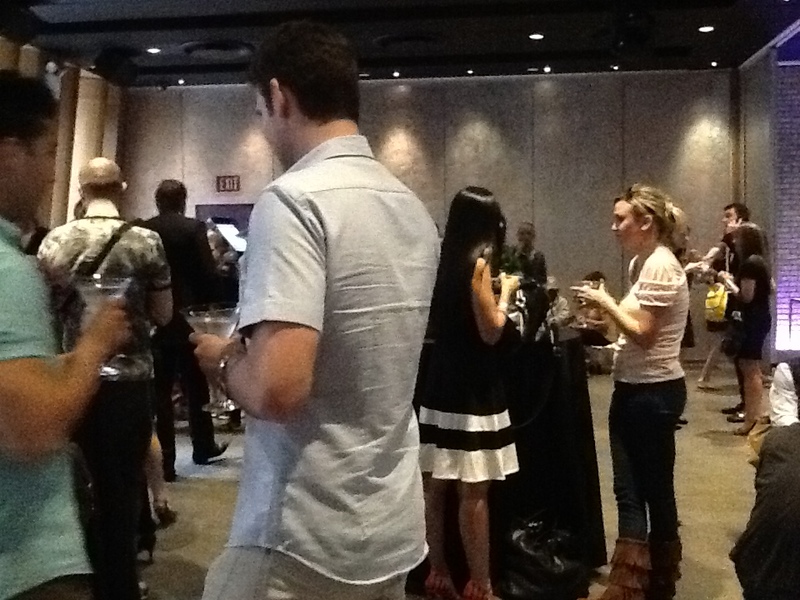 We were then invited to move along to an adjoining room where a cocktail party was just kicking off. And you know how much I love a cocktail party. 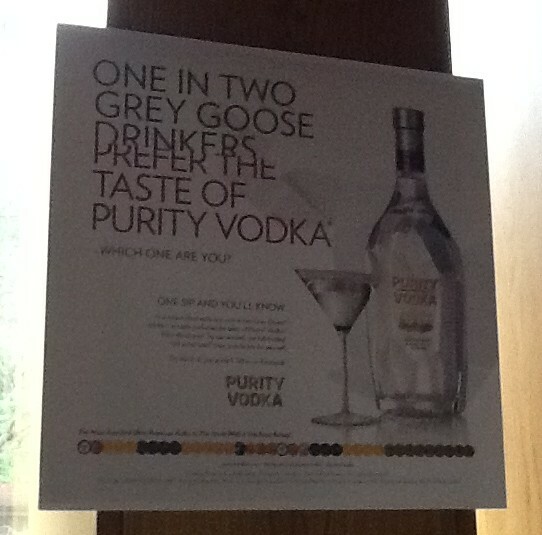 Apparently, Purity Vodka is making the rounds with this challenge to promote the fact that one in two Grey Goose drinkers prefer the taste of Purity Vodka — which is distilled 34 times (read: a lot of times). Also, it is the most award winning Ultra-Premium Vodka in the world, according to its nice website. Well, I took the Challenge and I did like Purity Vodka better, so I am just going to agree with whatever they say about this stuff. Smooth! Here are some additional photos of the party, which was pretty fun! 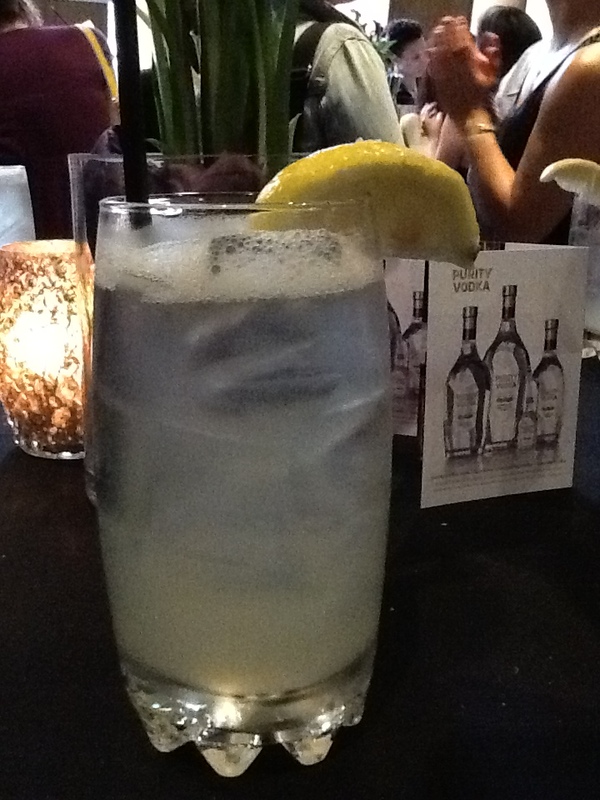 The drink above is a Purity Collins, which is like a Vodka Lemonade – sweet and refreshing. I had two of these and I was pretty toasted before I finished the second one, after which, I cut myself off. 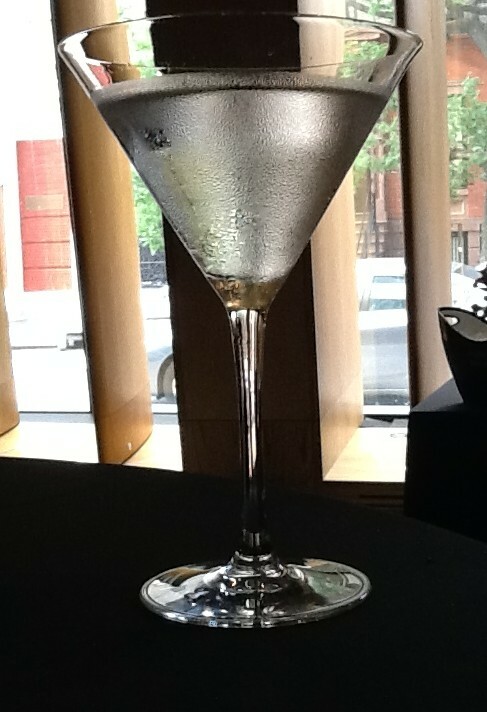 Look at what an attractive Martini it makes! Here is a bottle lounging in some ice. Because Vodka should always be kept chilled! There was a bit of food also. 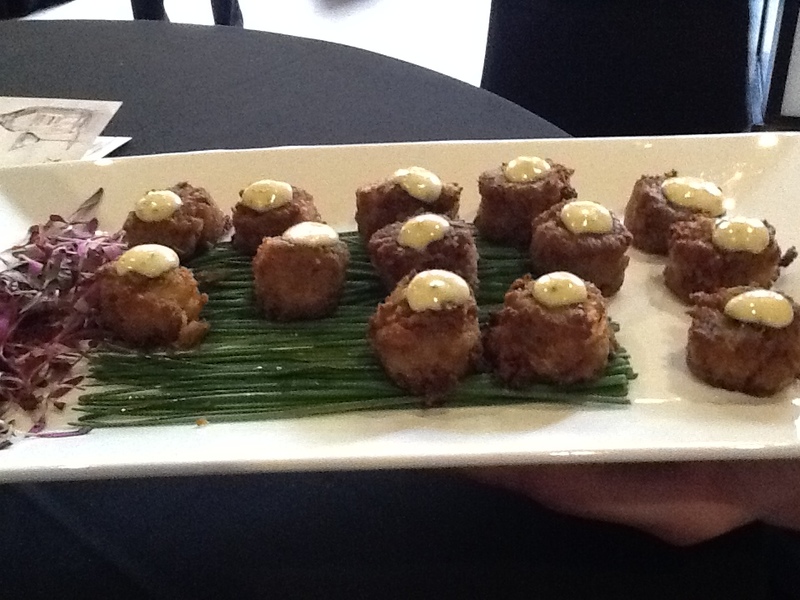 Above: Tiny Crab Cakes. Very tasty. 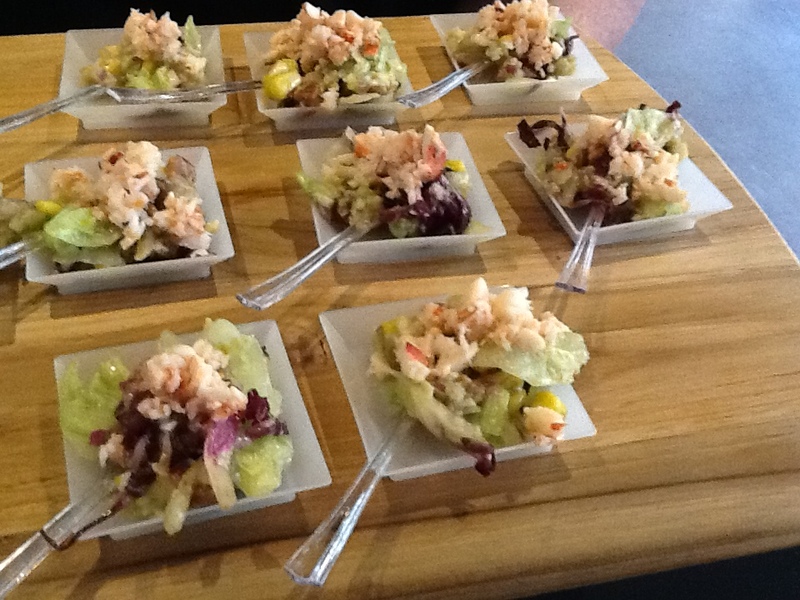 This is a Lobster Cobb Salad. Yes, there was bacon in it. Yummy. 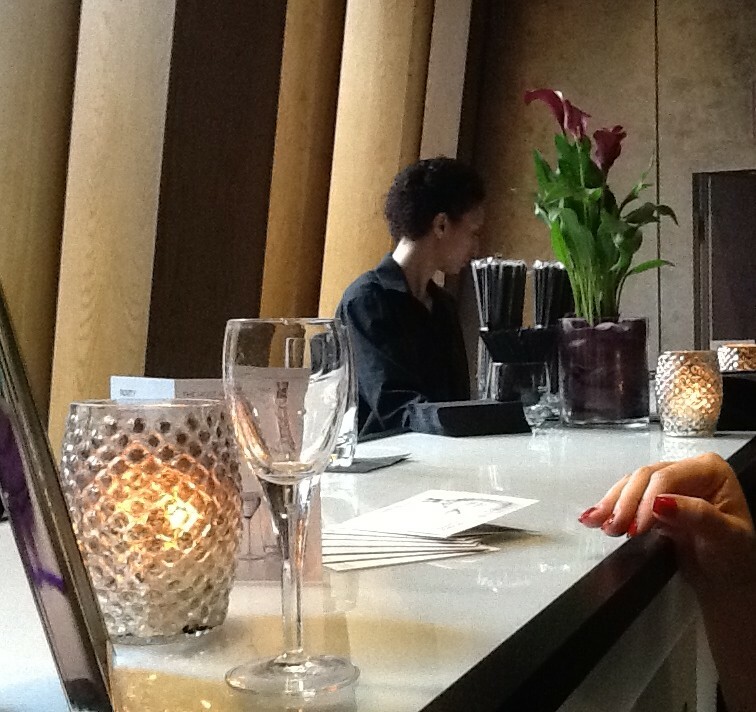 Highly efficient bar tending professionals kept the drinks flowing! 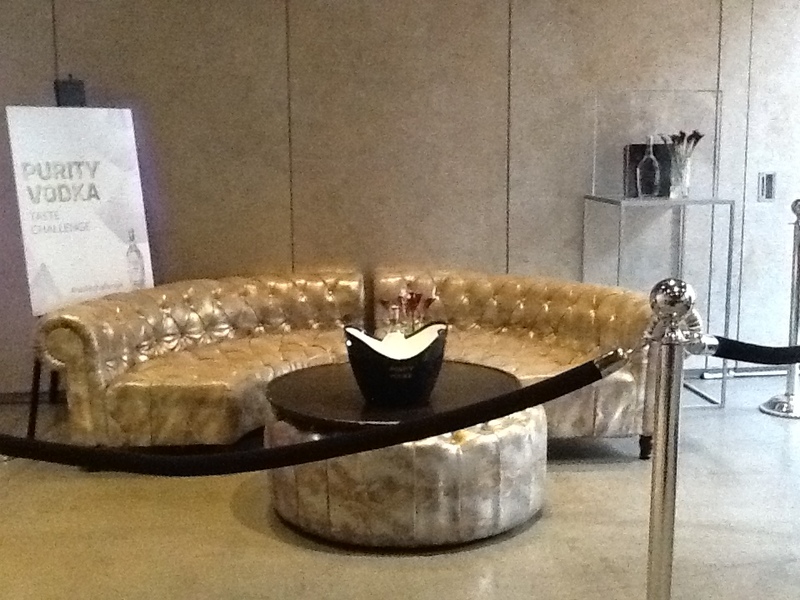 Hilariously, the room had this tiny, velvet ropped-off VIP Area, where no one was sitting. Maybe it was just for the vodka. Everybody had a good time and we all got drunk for free! 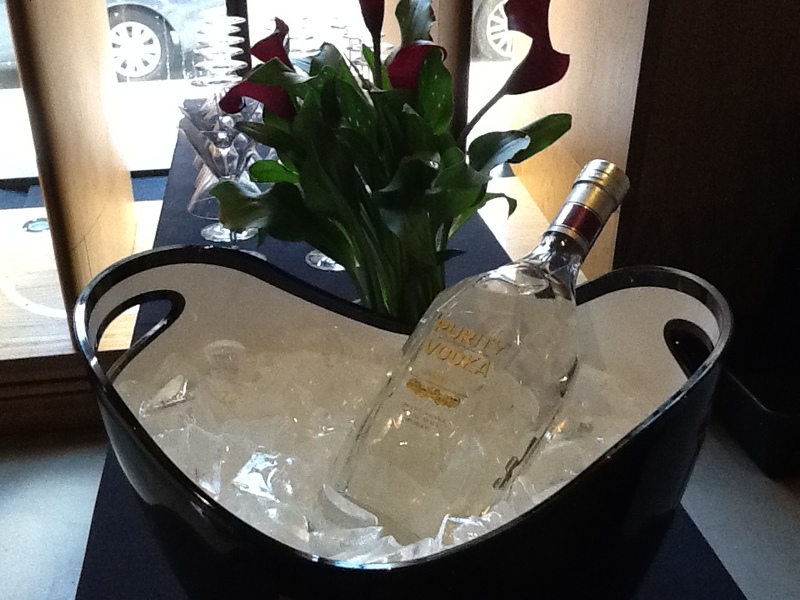 Purity Vodka! Hips! Lips! 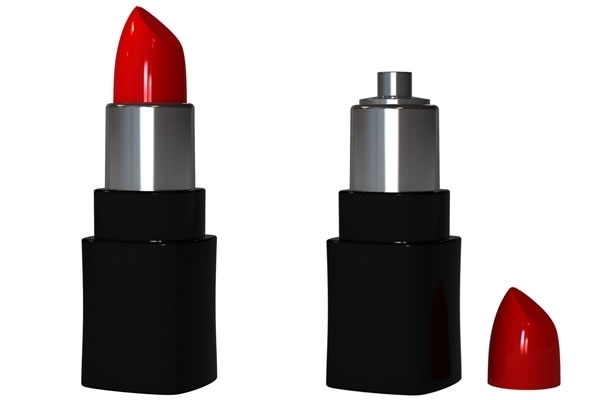 Lip Flask! Do you like to drink? I sure do. 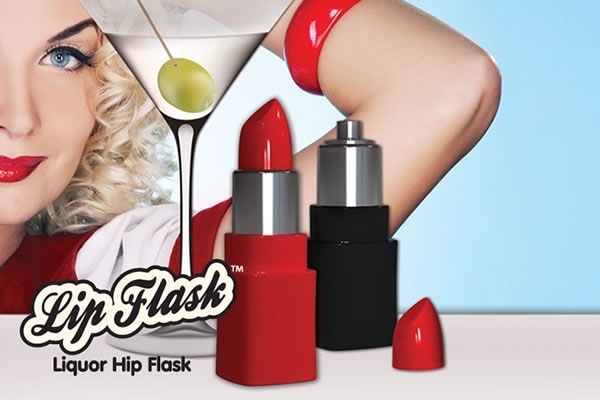 And here’s a way to do it in style no matter where you are, because the Lip Flask is the chic and stylish way to carry your drink. 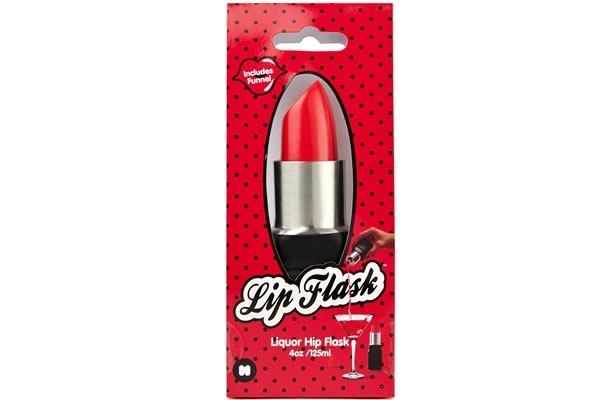 This lipstick-shaped hip flask carries 4 ounces of your choice liquor, ready to pour at a moment’s notice. Drinking! Sale Priced at $12.95 you can get one (and one to give as gift!) right now by visiting This Link!